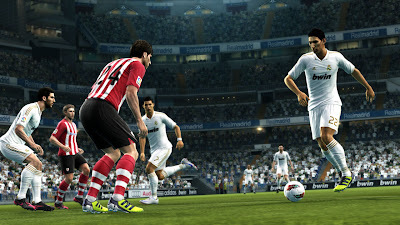 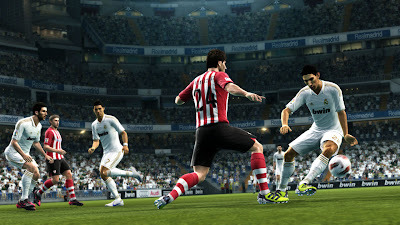 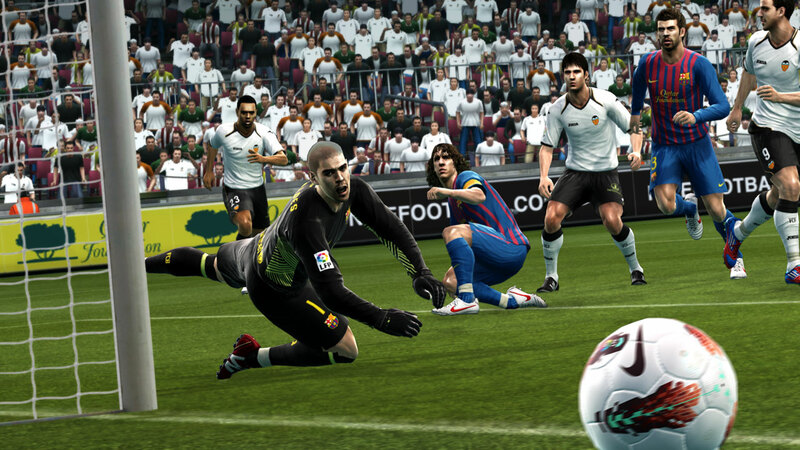 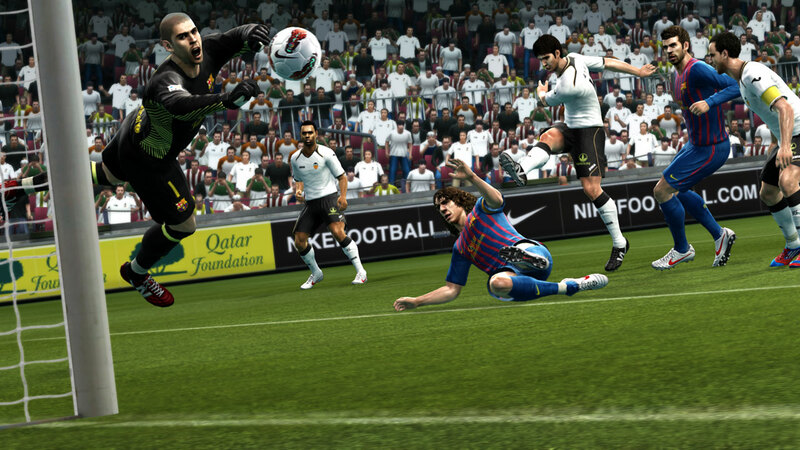 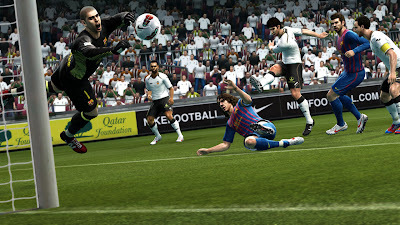 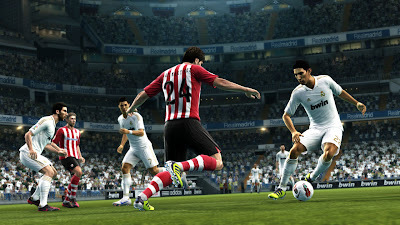 On their official website, Konami have released a new batch of exclusive screenshots of Pro Evolution Soccer 2013. 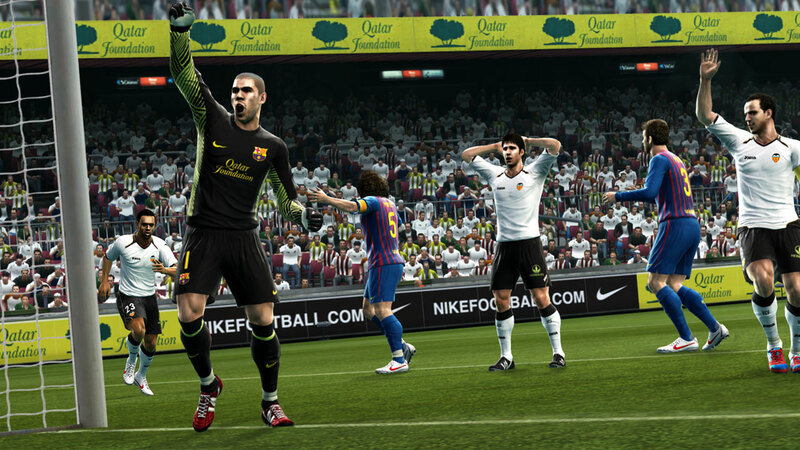 The first two screens show a desperate Victor Valdes making a decent save, with the last showing the Spaniard celebrating his stop in style. 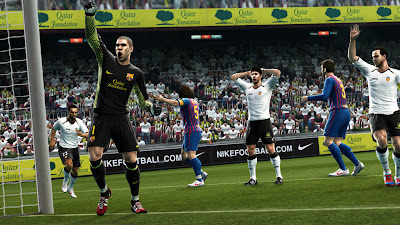 Update - June 19th: Konami have added 8 new screenshots on their official website. 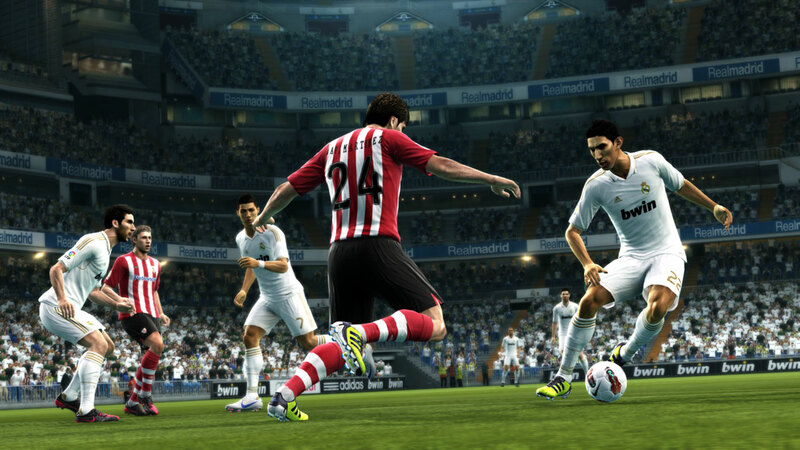 Three of the new screens feature Ángel di María in action for Real Madrid. 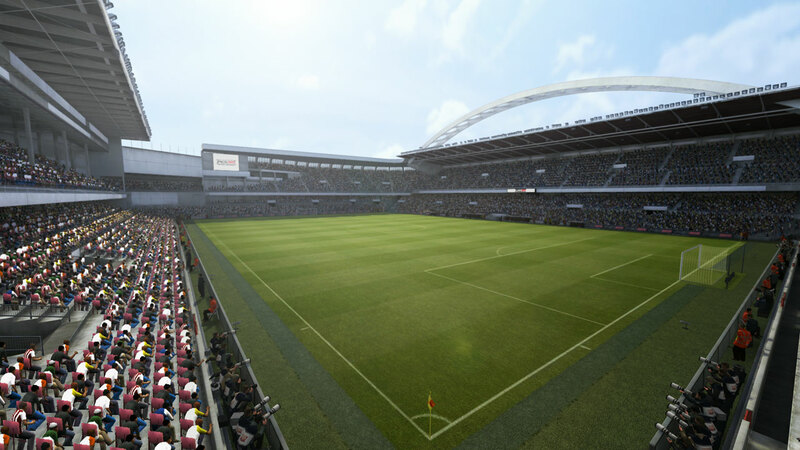 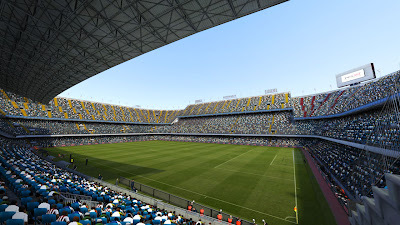 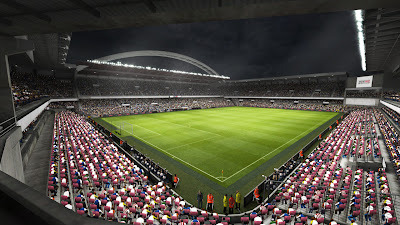 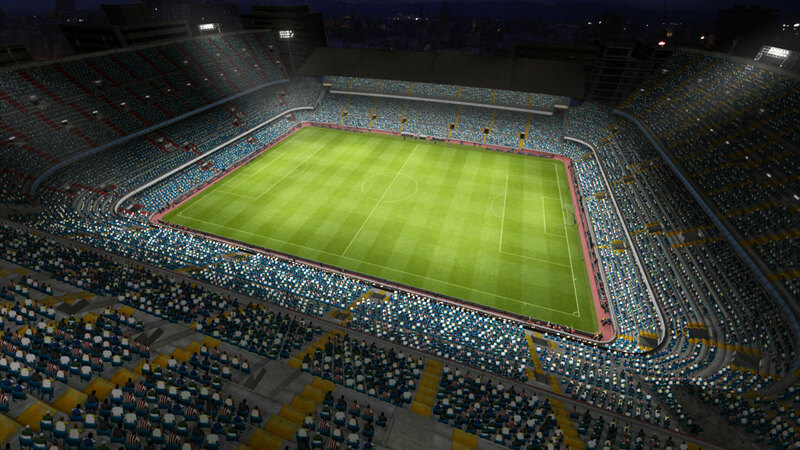 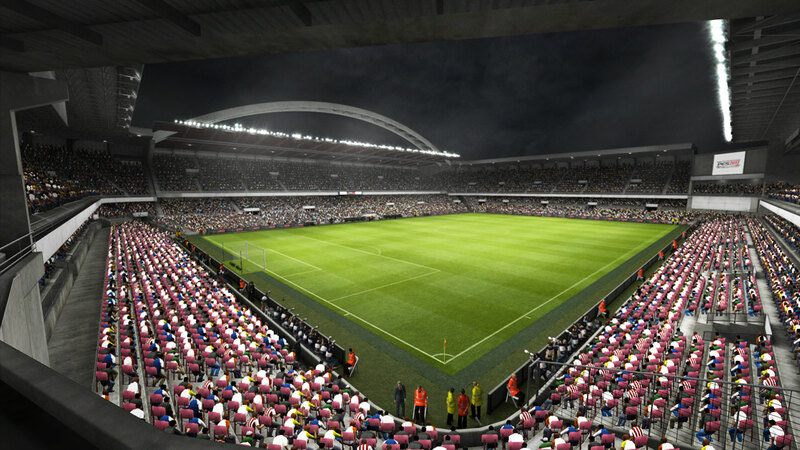 Two (out of twenty) stadiums - which will be available via day-one DLC - can also be seen; Athletic Bilbao's Estadio San Mamés and Valencia's Estadio Mestalla.